Kory DeAngelo is a clinical nutrition supervisor at Bastyr Center for Natural Health, where she also sees patients one-on-one in private practice. Kory’s areas of interest include mindful and intuitive eating, food intolerances and allergies, digestive health, women’s hormonal health and fertility, heart health, kidney disease, liver disease, anxiety/depression, and diabetes. Kory is a registered dietitian nutritionist who is passionate about whole foods nutrition and mind-body health. 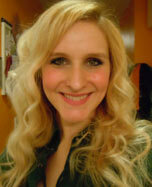 She specializes in providing expert nutrition counseling to help clients enhance their physical and emotional health. Her philosophy focuses on whole foods nutrition to help clients make sustainable changes over time while increasing their own vitality. The foundation of Kory’s counseling includes guiding clients in the practice of self-kindness, pleasure, mindfulness, and savoring food and life which all contribute to increased vitality and well-being. Kory’s background includes working in clinical cancer research for Fred Hutchinson Cancer Research Center and University of Washington. She has also worked for Swedish Medical Center in Seattle, specializing in renal disease, liver disease and organ transplant nutrition. In addition, Kory teaches community nutrition classes and is a PCC Cooks Instructor.